Own your own Commercial Office Space. 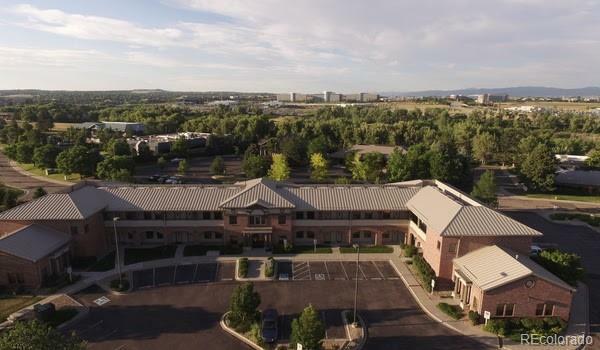 These units are office condos just for businesses in Southpark located just off of Broadway and C-470 in the Tre Torre Building, Unit #111 in Littleton. This main level unit with its own outdoor access offers a large conference room with kitchen, custom slate and travertine entry, bathroom, large private office, second smaller open office area, all handicapped accessible. Barely used, well maintained unit designed for the professional needing a office space with meeting facilities. Monthly HOA includes water, sewer, trash, grounds maintenance, snow removal, exterior insurance, etc. $227 a month. Call with any questions or to arrange a private viewing, listing agent is unit owner. Offered by Realpro Real Estate Professionals.